In this volume, Andy Blunden develops an original analysis of Cultural Historical Activity Theory, the psychology originating from Lev Vygotsky. Tracing the roots of this theory from Goethe, Hegel, and Marx, the author draws out the principles with which Vygotsky developed a theory of the mind that transcended the problems of the mind-body dualism. Blunden follows the efforts of later members of the Vygotsky School to resolve outstanding problems in Vygotsky's work. This includes a critical appropriation of Leontyev's Activity Theory. 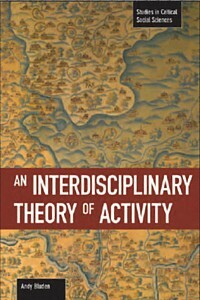 The outcome is a concept of activity which transcends the division between individual and social domains in human sciences. Sales of this volume by Erythros Press and Media, LLC benefit Marxists Internet Archive. About the author: Andy Blunden is a Melbourne, Australia-based writer, and a member of the Independent Social Research Network. Andy has been a Marxist since 1968 and began his study of Hegel in 1980, later becoming involved with Cultural-Historical Activity Theory. Andy initiated the annual Hegel Summer School in Melbourne and the Hegel-by-HyperText web site in 1998. He retired from Melbourne University in 2002.
to the address on our contact page. Note: Shipping prices vary depending on your location, so please review payment options carefully. Books are shipped via the United States Postal Service at the lowest rate available. Please contact us if you prefer to pay via check or money order.